Though nutrition is best delivered through food, there are some occasions when I would recommend supplements for patients to help them heal quicker or to support the health of specific body systems. If you are interested in purchasing supplements, you may order through our online dispensary with Fullscript. Sign up with your email address to receive updates on upcoming 21DSD coaching groups! 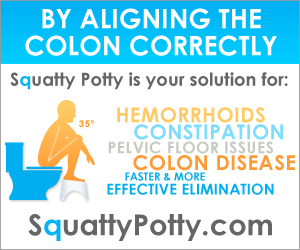 The Squatty Potty puts you in exactly the correct position for fast, easy elimination. Once you squat, you'll never want to go back! Great to incorporate into smoothies and soups! Great for making gelatin snacks! Anisa Woodall is a participant in the Amazon Services LLC Associates Program, an affiliate advertising program designed to provide a means for sites to earn advertising fees by advertising and linking to Amazon.com.